Dennis Joseph Powers - Edmonton's Burial & Cremation Professionals | Trinity Funeral Home Ltd.
Dennis is survived by his loving partner Peggy Ferro, 3 sons Kevin, Patrick (Wendy) and Raymond; Dean (Audrey) and their 6 children, Dallas (Laura) and Derek Ferro. His brother David (Sandra) sister Doreen Duckett as well as numerous other relatives and friends. He was predeceased by his parents Mark and Madge and by his sister Patsy. The family wishes to thank Dr. H. Sidhu and the wonderful staff of Capital Care Norwood for their loving care. I am offering my deepest and sincere condolences to all members of the Powers and Murray families. I never knew him but was childhood friends with Peggy and Jerry at St Alphonsus School from the first grade to the seventh. I dearly loved the Murray family. 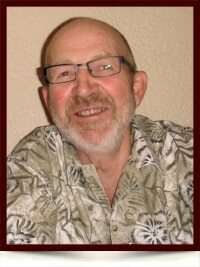 Dennis was part of the Budnyk family and was very much loved by all. We visited with Dennis and Marianne in Prince Rupert a few times and years ago they spent a very happy Christmas with us at our home in Edmonton when the three boys were young. One of our favourite memories is cruising and staying on Dennis and Marianne’s boat called the DMB (datsa my boat). We were very grateful that Dennis took the time to attend the funeral of Kay Van Deelen last January when he must not have been feeling well himself. Rest in peace dear Dennis.